With close to 40 million annual visitors, Las Vegas is one of the world’s most popular tourist destinations, and its clientele is amazingly diverse, from every part of the country and every corner of the globe, and the cuisine it offers represents this, with everything from kaiseki to tapas, Hawaiian specialties to Brazilian barbecue, rare Florida stone crabs to fish and chips. 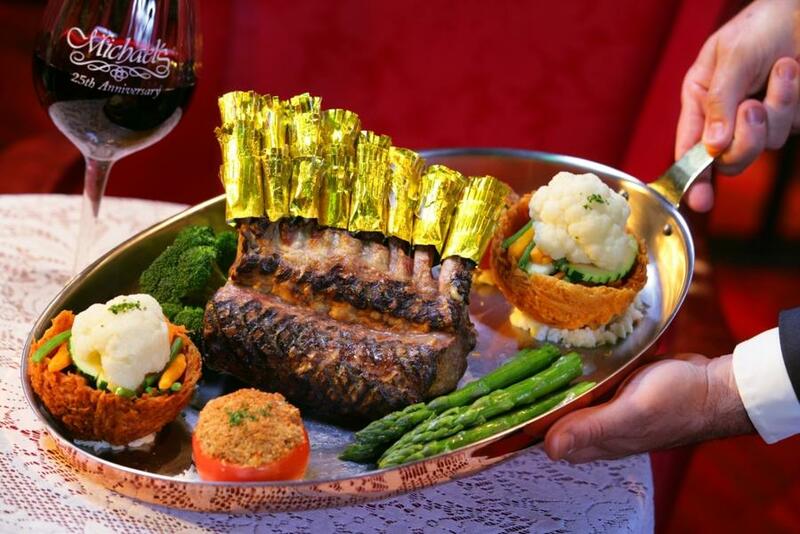 Carnivorous Vegas is awash in steakhouses, with the best selection in the world – and at every price point – while it also has an amazing array of fine French dining, with the most famous Parisian masters represented here. Then there is Las Vegas’ own homegrown specialty, the all-you-can-eat buffet, offered here in more iterations and staggering variety than anywhere else. In that vein, the following are twelve eateries that are all exceptional within their genre, span a huge variety of tastes and price points, are located on and off the Strip, and in every case will deliver what the Vegas visitor desires most – a delicious and satisfying meal.